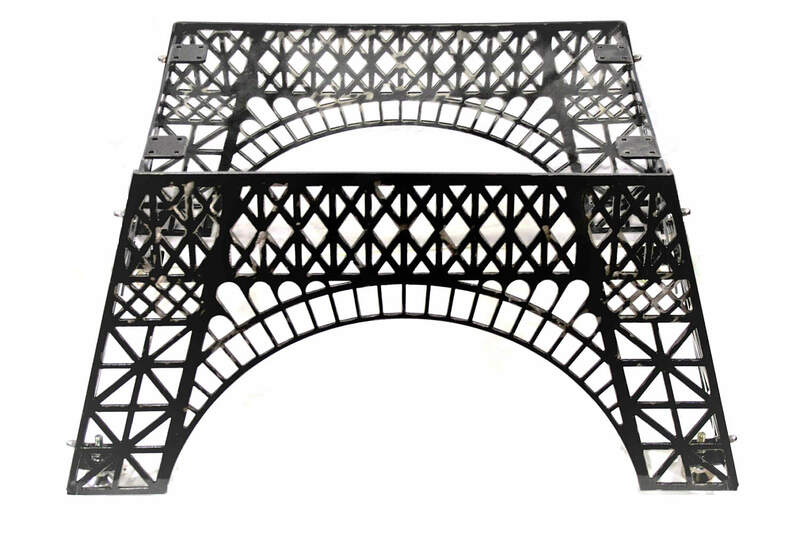 Steel Eiffel Tower coffee table base makes a truly unique piece of art! Ready to bolt together and attach any style table top you like. The table base is cut from thick, sturdy steel for a modern industrial look. Table top in final photo is shown for example only. This table leg kit comes with leg pieces only. 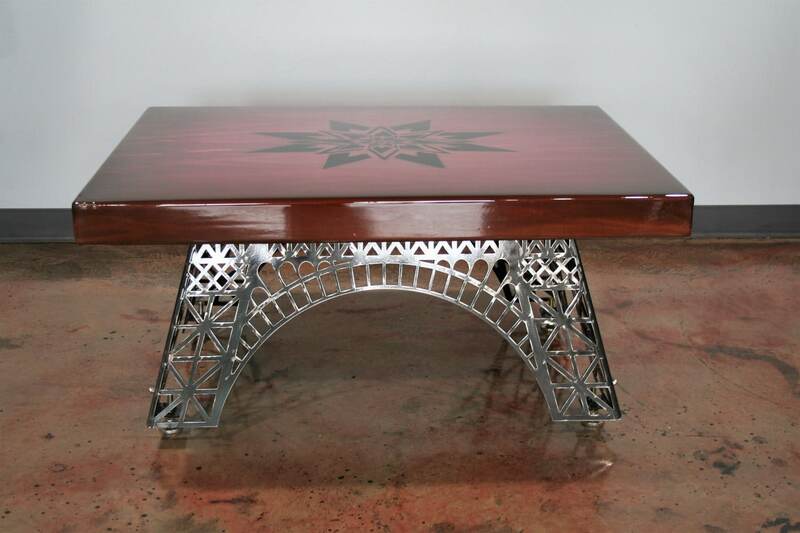 The steel table base consists of 4 pieces bolted together. 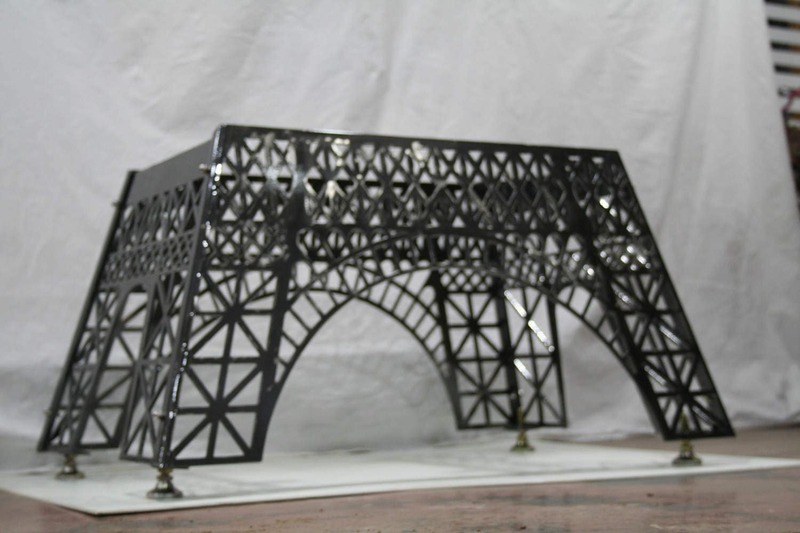 Each piece is coated with durable powder coat for a beautiful hard-working finish. It's scratch resistant and durable. Self-leveling feet allow your table to adjust to any surface and protect your floors from scratches. Living room furniture made to be lived on! Choose from a variety of colors. Only those items in stock and ready to ship are available for purchase, so you know your order will ship quickly. Powder coated colors are outdoor safe and very durable! Add your own top to create a great outdoor conversation area! Raw steel is ready to finish yourself, or you can allow it to rust with time outdoors. Clear-coated steel is recommended for indoors only. Add a solid wood slab top, glass or even mirror. This beautiful base is ready to bolt onto any surface you would like! Table ships in flat pieces with hardware included. Simple bolt-together assembly required upon arrival.